Oh Barbuzzo, how’d you end up being so awesome? E and I fell in love with you so quickly, and now we can’t help but sing your culinary praises. You’re attractive, too, and so romantic with your dim lights and your candles. You had me at your adorable brick walls. You call it pig popcorn but we call it delicious. 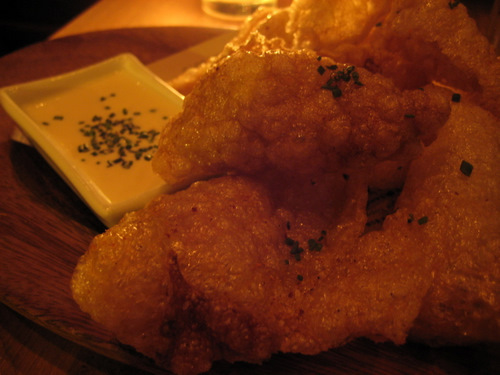 They may be pork rinds but they’re all crunchy goodness, dusted with apple cider vinegar powder, and dipped in aioli. And how did you know I loved beets so much? I especially love your yellow beets. 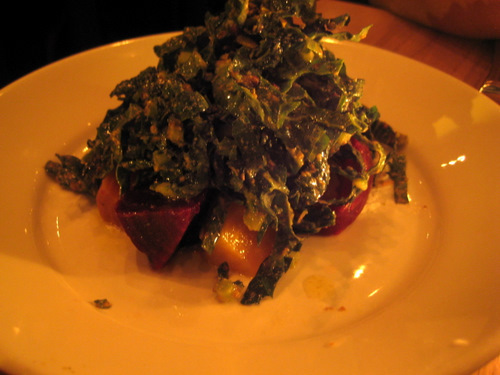 And the tuscan kale with the pistachio pesto? Dreamy, just dreamy. 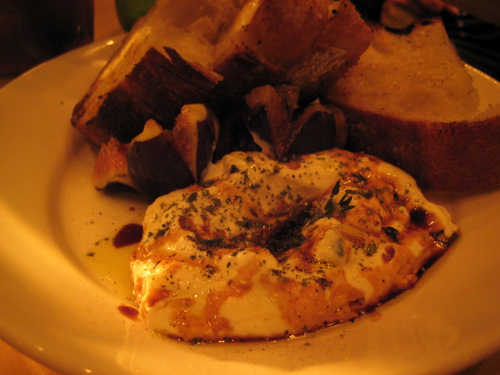 But then you just wouldn’t stop with your crazy good sheep’s milk ricotta. How can it be so thick and creamy? And how come the bread is so crusty and perfect? It’s so difficult not to like you. Just when we thought we’d had enough, you had to bring us the fideua. 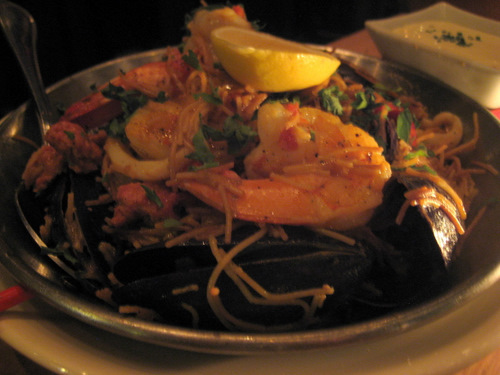 You gave us sauage, calamari, shrimp, mussels, and noodles, and every bite was stupendous. We just couldn’t get enough. And it was so much that we got to take some home for later. 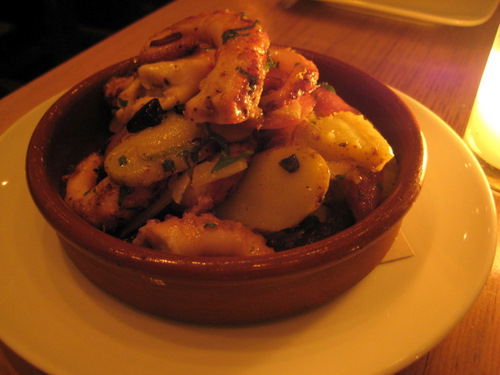 And then there was the spanish grilled octopus. How can you possibly make octopus be so melt-in-your-mouth? I didn’t think it was even possible. But you sealed the deal with the salted caramel budino. 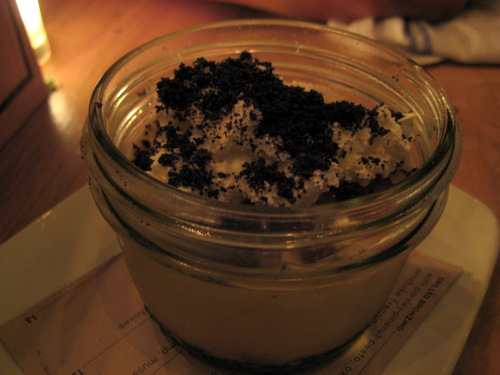 What the hell is a budino? I don’t freakin know, but if it tastes like this, then please, shoot it directly into my veins. I can’t get enough of this. 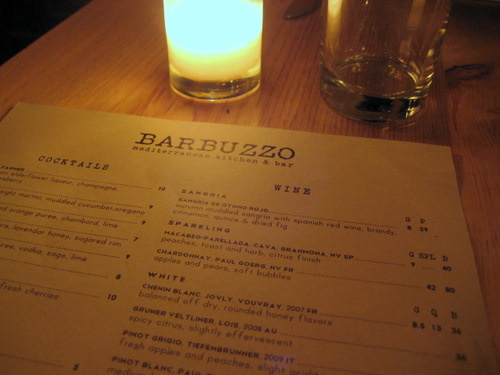 And I can’t get enough of you, Barbuzzo. I can’t wait to see you again.